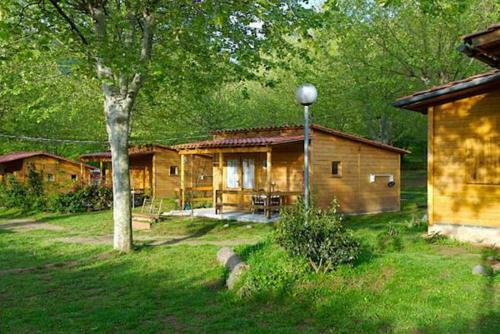 Set in the beautiful catalonian countryside, Camping La Vall d'Hostoles offers fully-equipped, wooden bungalows with free WiFi and a free private parking on site. 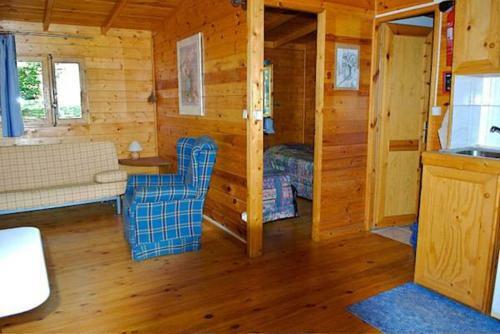 Each heated bungalow has a double bedroom, and a bathroom with a bath. The living room features a sofa, a dining table, a flat-screen TV and a kitchenette with a fridge, hobs and kitchenware. Bed linen is included. The local area offers a great variety of outdoor activities whether in summer or winter; including hiking and cycling. You can drive to the charming village of Olot within 30 minutes. Barcelona and its airport are 100 km from the camping.